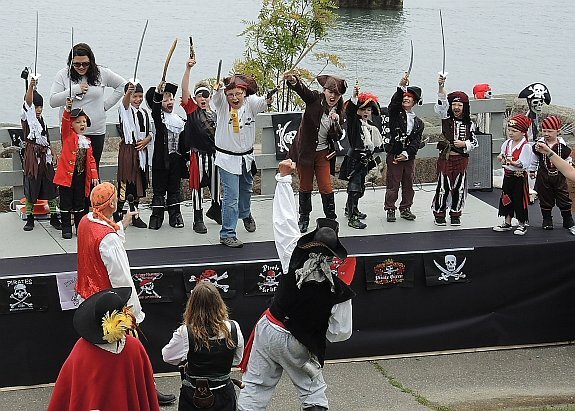 Real pirates in Maine are now a thing of the past, but there are still several opportunities to enjoy pirate-themed fun. 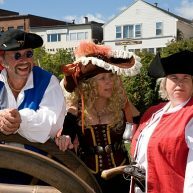 The first pirate known to operate off the coast of Maine—and perhaps the best known—was an Englishman named Dixie Bull. Dixe (or Dixey). 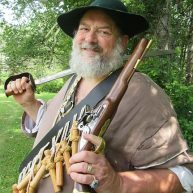 Born in the early 1600s in eastern England, Bull sailed up and down the coast of New England, trading English knives and beads for fur. 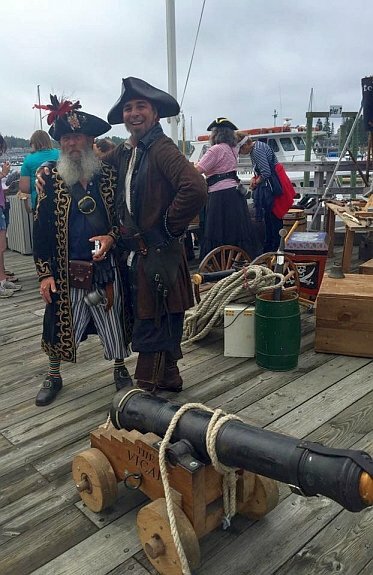 In 1632 while docked in Penobscot Bay, Bull’s ship was robbed of all of its valuable merchandise. 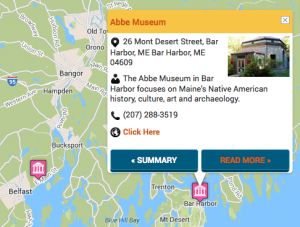 Unable to recover his property, Bull sought revenge and turned to piracy, and became known for plundering small settlements along the Maine coast, most notably at Pemaquid. 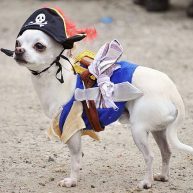 In fact his nickname “The Dread Pirate” most likely derived from his attack in 1632 on the settlement of Pemaquid, which at that time was the center of the lucrative fur trade in Maine. 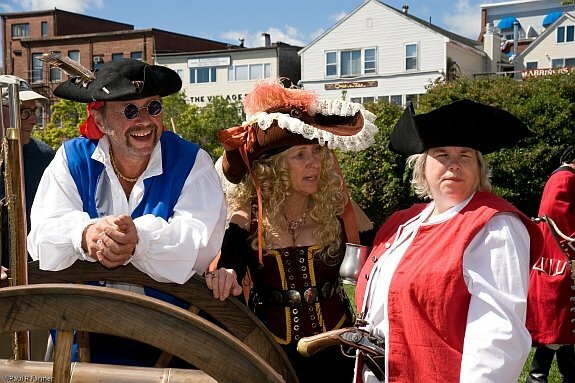 Having more audacity than most pirates at the time, Bull sailed into the fortified town’s harbor on that day with what is said to be three ships, opened fire, and then proceeded to basically loot and burned the town. Legend also says that Bull buried some of his treasure on Damariscove Island and Cushing Island in Casco Bay, Maine. 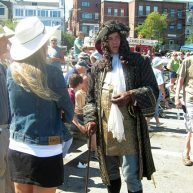 The other pirate most often connected with Maine is Black Sam Bellamy, captain of the Whydah, who operated in the early 18th century. 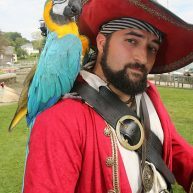 His “career” as a pirate captain only lasted approximately one year, however he and his crew were able to capture 53 ships during that time. 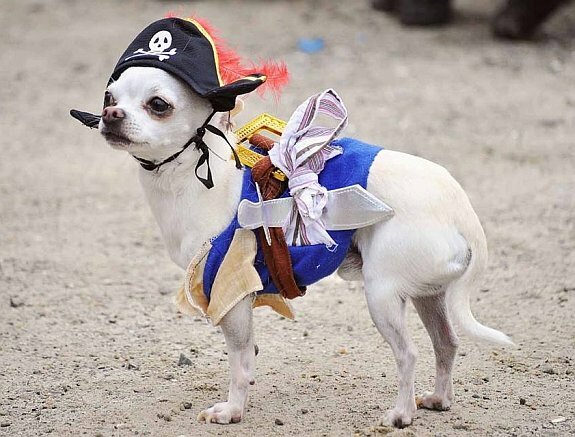 Because of his “success” in such a short period of time, Bellamy also has the distinction of being the wealthiest pirate in recorded history. 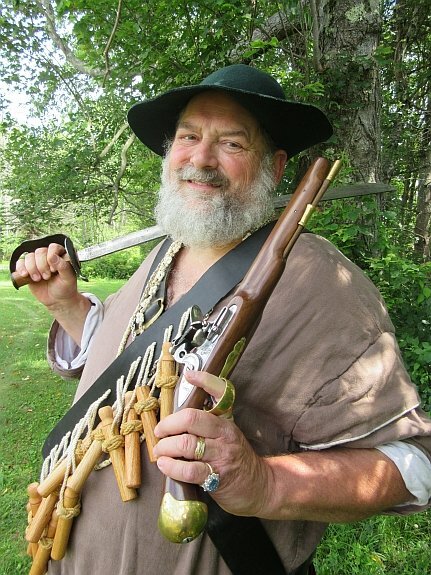 Black Sam was actually known for being relatively generous towards those he captured, earning him the nickname “Prince of Pirates”, and supporting his likening himself to Robin Hood. In April of 1717, just two months after taking command of the Whydah, Bellamy and his crew were on their way to Richmond Island, off the coast of Southern Maine. For some reason, the ship diverted to Cape Cod, where they got caught in a howling nor’easter–the ship eventually broke in two and Bellamy and his ship were lost. 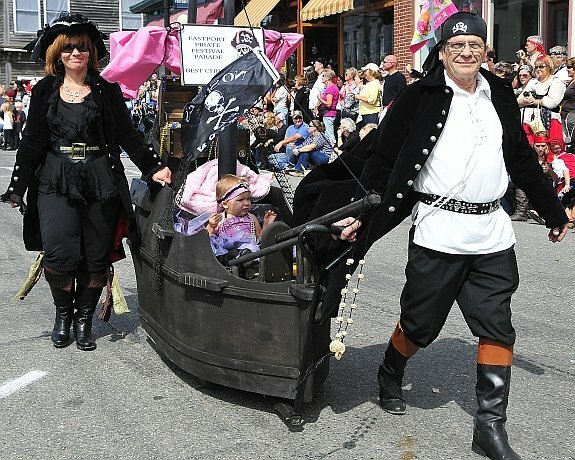 The Eastport Pirate Festival takes place on the second weekend every September and features the Pirates of the Dark Rose and includes all manner of parades, festivities, food and fun. 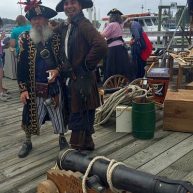 The pirates “invade” Lubec and Eastport, camping on the grounds and demonstrating essential pirate skills such as sword fights, cannons and overall mischief. 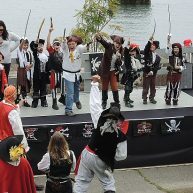 The Eastport Pirate Festival is a great event for kids of all ages and pirate attire is encouraged. 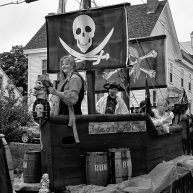 The Damariscotta Pirate Rendezvous in June. 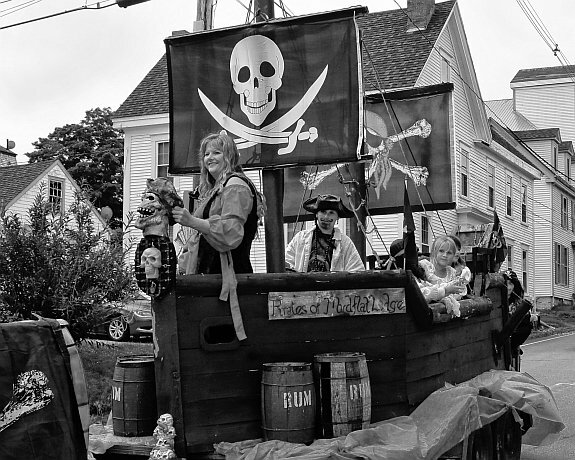 Pirate events during the Boothbay Windjammer Days. 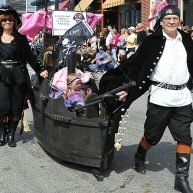 Performance by the crew of the Pirates of the Dark Rose every Labor Day weekend during the Camden Windjammer Festival. 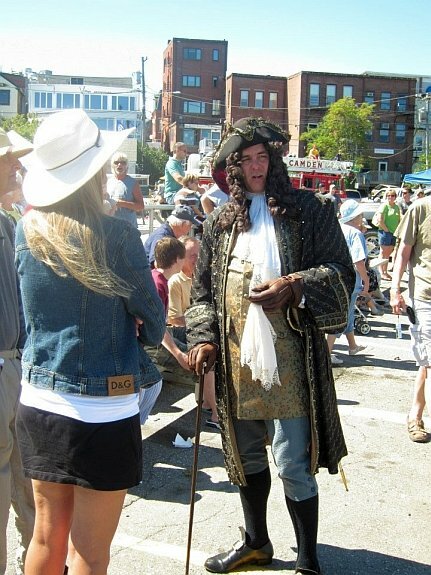 And don’t forget a visit to Rockport harbor, home to Maine’s own pirate movie star, the schooner yacht Heron. The Heron served as Johnny Depp’s yacht in “Pirates of the Caribbean”; visitors can take a short cruise on the Heron any day in the summer and have a go at channeling the movie! 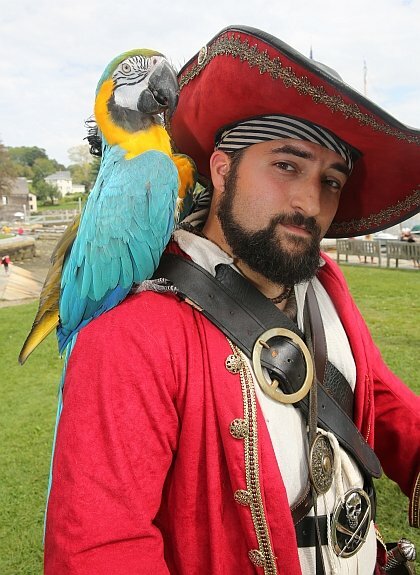 Keep a weathered eye open matey or your might end up in Davy Jones’ locker!